Sea Ray 240 Sundancer 24 "Sophie"
This 24 Sea Ray Sundancer "Sophie" is a very well maintained deck boat, designed for water sports, cruising and fishing. Her smart design, desirable features and fine details make this Sea Ray Sundancer a popular buy in the boating world! The cockpit centre presents beautifully with a comfortable seating area and generous space for relaxing and entertaining on the water. The extended swim platform makes the day on and in the water while wakeboarding, tubing or swimming just perfect! 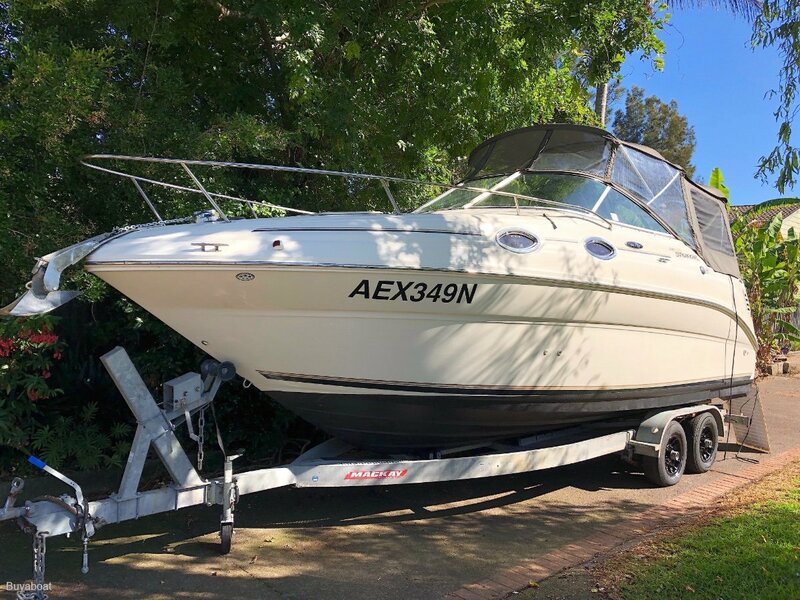 Various storage spaces throughout the entire boat, the MerCruiser Bravo engine in excellent condition, Raymarine electronics, an inflatable dinghy in brand new condition and a registered trailer for the boat complete this great offer! There is no better way to enjoy your free time on the water in a stylish and luxurious way. For more information or to book an inspection call Ann from buyaboat 0433969331. For more information and to book an inspection, please contact Ann from buyaboat 0433969331.